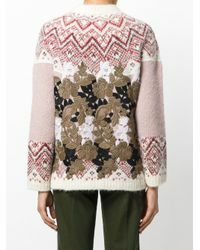 We check over 450 stores daily and we last saw this product for $2,055 at Farfetch. 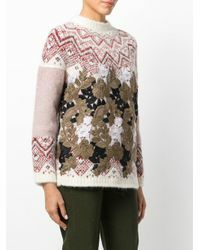 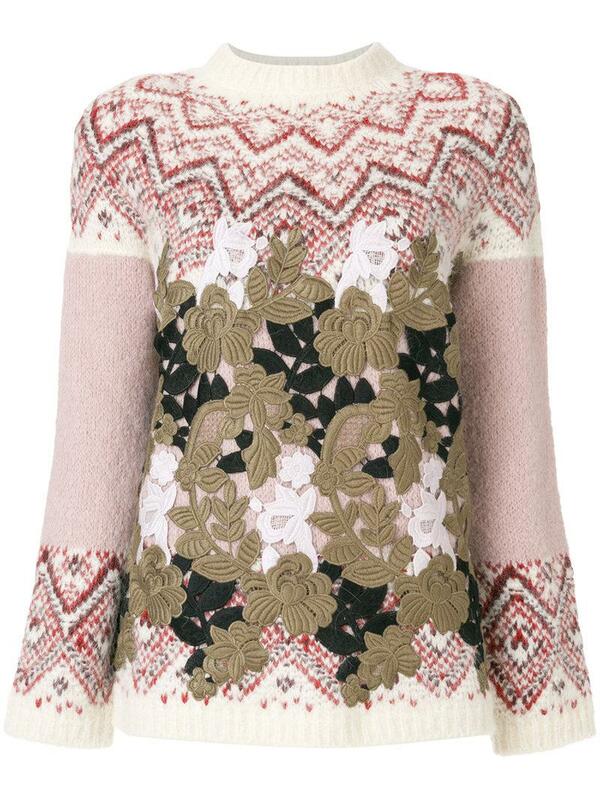 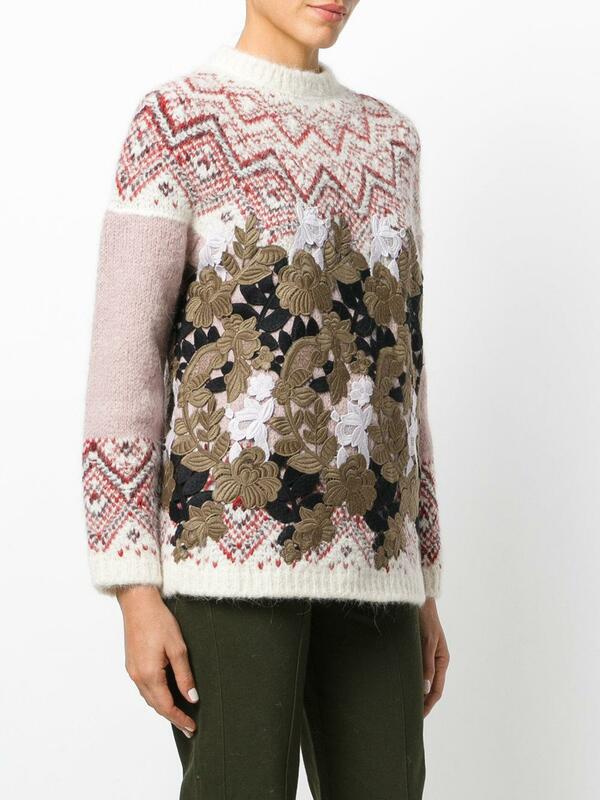 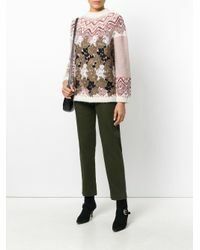 Multicoloured wool blend patterned jumper with leaf overlay from Moncler Gamme Rouge. Material:Alpaca/Wool/Polyamide/Polyester.